The 2018 Ram 2500 is a a larger truck model that is available for Commercial Truck buyers. Take a look at each of the Ram 2500 trim models and see which one would best fit your needs. The 2500 Truck is available in both 4×2 or 4×4 capability and has option for different cab and crew sizes. 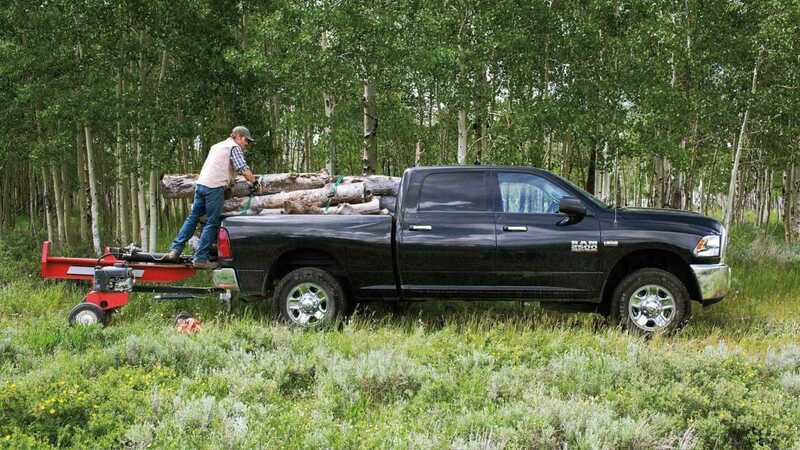 Our most advanced Ram 2500 has a tow capacity of up to 18,350 pounds. The 2018 Ram 2500 Tradesman is built with 17-inch Argent Steel Wheels, a 31-Gallon Fuel Tank and Standard Quad Halogen headlamps. The 2500 Tradesman edition is also standard with Black Grille, Front and Rear Bumpers, Black Trailer Tow Mirrors. Antilock 4-Wheel Disc Brakes and Standard 17,000 pound Class V Trailer Tow Hitch Receiver. The 2018 Ram 2500 SLT is built with 17-inch Chrome Clad Wheels, Chrome Bumpers, Cloth Trimmed Seats and Chrome Accent and shift knobs. The Interior is equipped with Power Door Locks & Windows with Keyless Entry and Sirius XM Satellite Radio. The 2018 Ram 2500 Big Horn is also equipped with 17-inch polished aluminum wheels, chrome grille with chrome insert and fog lamps. On the interior the Ram 2500 Big Horn has a leather-wrapped steering wheel with radio controls, Uconnect 5.0 System with 5-inch touch screen and Voice command with Bluetooth Connection. The 2018 Ram 2500 Outdoorsman is built with Accent Fender Flares, Black Door Handles, Painted Bumpers and Tow Hooks. 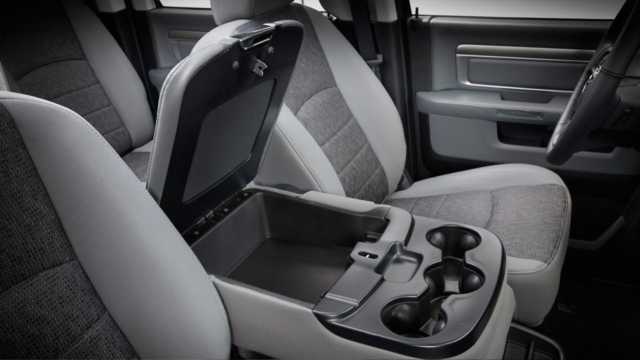 The Interior of the Outdoorsman is equipped with Premium Cloth Bucket Seats w/ 10-Way Power Driver Seat, Power Lumbar and 115V Outlet and Front and Rear Rubber Floormats. The 2018 Ram 2500 Power Wagon is built with Bifunctional Projector headlamps, 17″ Aluminum Wheels, Front Electric Winch, Front Disconnecting Stabilizer Bar and Fuel Tank Skid Plate Shield. On the inside the 2500 Power Wagon is built with a Uconnect 5.0 System w 5-inch Touchscreen. The 2018 Ram 2500 Laramie is also equipped with the Bifunctional Projector headlamps, Accent Fender Flares, Auto Dimming Rearview Mirror and Auto Dimming Chrome Exterior Mirrors with Supplemental turn Signals. On the interior the 2500 Laramie has a Uconnect 8.4A System with 8.4 Touchscreen, Uconnect Access System and Sapphire LED Interior lighting. The 2018 Ram 2500 Laramie Longhorn is built with upgraded Mopar Sill Guards, Accent Color Running Boards and Spray-in Bedliner. The interior technology features a Uconnect 8.4 inch touchscreen system with Full Screen Navigation and 3-D City Models & Landmarks and HD radio.